The most notable thing about the DBPOWER Bluetooth receiver is how small it is. Then you can enjoy music without any bound. Secondly, it can bring you convenience, click on phone Bluetooth sync and good to go, works as media only so you can still take calls on other device. The most important is that it can let ordinary speakers instantly become wireless Bluetooth stereo audio music speakers and can be paired to any Bluetooth enabled devices, such as mobile phone, laptops, speaker and Bluetooth audio transmitter. Transmission distance: up to 10 meters (about 32.8 feet),enjoy music freely anytime, anywhere without the bound of wire. Bluetooth version:V2.0 (2.4GHz-2.4835 GHz) and support A2DP Technology , fantastic sound quality and easy to pair and connect. The initial pass code of this device is 0000. 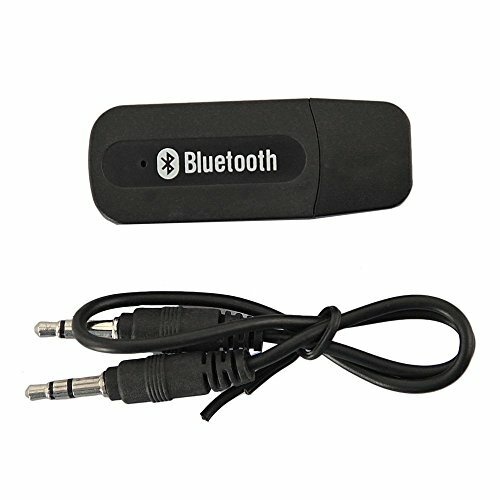 Bluetooth Music Receiver: Make any stereo a Bluetooth sound system capable of wirelessly playing music from your mobile, iPhone, PC, MP3 player. If you have any questions about this product by Linkte, contact us by completing and submitting the form below. If you are looking for a specif part number, please include it with your message.